Did you know that any works undertaken as part of an extension or renovation project might not be covered by your existing home insurance policy? Whatever your project, make sure you don’t ignore the need for specialist self build, renovation or extension insurance. Your home is quite likely to be the single biggest investment in your life and to risk it could leave you in a desperate situation, especially if you consider that just one mishap could leave your project in dire circumstances. Below, we explain what self build insurance is, why and when you need it and what your policy should cover. Do I Need Self Build Insurance? We are used to insuring our most valuable possessions these days. Yet every year lots of people build or renovate their own homes without any insurance — a project costing tens and even hundreds of thousands of pounds. For many of them, the gamble pays off — if indeed they even knew they could insure their project in the first place. But it can be an extremely false economy. It only takes one mishap to produce consequences which could jeopardise the entire project. Increasingly, therefore, lenders and especially those consistently working to help self builders and renovators, are demanding proof of the existence of a suitable policy. 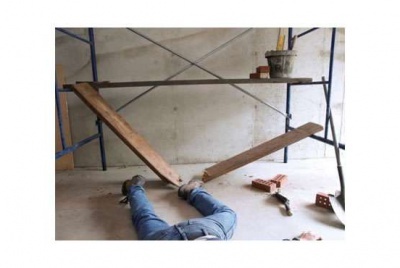 Will my Main Contractor Have Insurance? There’s no guarantee that your builder/main contractor will have insurance — you’d be surprised at just how many builders and tradespeople don’t carry any/or adequate insurance for the work they do, especially if they work ‘cash-in-hand’. Those carrying out a project by using a builder with a single contract may feel that, as the builder has their own insurance policy, there is no need to go to the expense of a policy in their own name. They might be right, but they should check the details of the builder’s policy to firstly make sure that it’s current and secondly, that it is sufficient to cover for any eventuality. 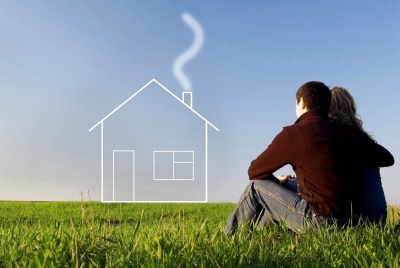 Even if the builder’s policy is technically sufficient, the whole business of self building is to get what you want and to be interested and involved in the process, and the chances are that at some point you will opt to buy your own materials such as kitchen units, sanitaryware or even plumbing equipment. But if any of those items get stolen or damaged, because the builder didn’t buy them and never had title to them, they will not be able to claim for them. So it really does make sense to have your own insurance policy. What Happens if I use Subcontractors? If you are building using subcontractors or direct labour, then technically you are seen to be the main contractor and you are deemed to be employing all of the people working on the site. Even if the subcontractors do carry professional insurance, the chances are that if they have an accident, they will see your insurance as the best option for recompense and if you haven’t got it, then you’ll be in trouble. 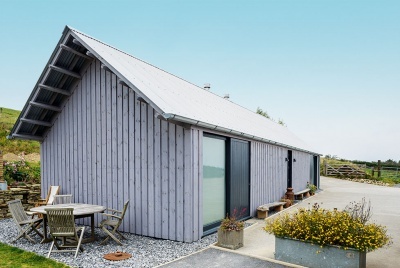 What Should a Self Build Policy Cover? Where Can I Buy Insurance for my Project? Do be careful about going to your usual High Street broker, as they’ll probably think that you need the same sort of policy as a builder or developer — and that’s not the case. There are dedicated self build insurance providers, with the premium costs being very much less than the standard prices which builders have to pay each year. Homebuilding & Renovating has partnered with leading insurance specialist Self Build Zone to provide bespoke solutions at market-leading rates for its readers. Do I Need Renovation or Extension Insurance? Most homeowners carrying out work to their existing property assume that any works will be covered under their existing home insurance policies. In most cases it won’t, and to make things worse, any structural work that you undertake will often invalidate existing homes and contents policies. Most policies allow you to carry out simple internal alterations and refurbishment, but any additional building work has to be notified. It is best to speak to your existing home insurer in the first instance and describe, in detail, the scope of the project. Most insurers feel better about you using builders under a JCT contract (Joint Contracts Tribunal) – although, given the large number of subtly different JCT contracts, you need to be clear about which one you’re using – but it is down to the individual underwriters to take a view on each case. For example, a homeowner carrying out a large extension and renovation project who is using a builder/main contractor for some but not all of the project may be required by their home insurer to agree to certain clauses on their policy. These are likely to be that you will not be covered in the event of a flood if the property is at any stage where it is not wind and watertight, and a clause not covering theft of contents in the same instance. The insurer we spoke to about this situation did not require additional policy premiums. The key, therefore, is to speak openly and honestly to your existing insurer. They are likely to be more queasy about insuring you if you’re moving out while work continues, and if a lot of the existing house is being demolished in the process. In simple terms, anyone carrying out an extension or major remodelling project without contacting their existing insurer is in breach of their policy and at huge risk. If your existing home insurer won’t cover you – particularly if you are planning to take on the builder’s role yourself – then some insurance providers can provide a home improvement policy which will provide cover for all normal builder’s risks, together with public and employers’ liability. The existing building is covered up to 110 per cent of its value and the proposed works, up to 125 per cent of their value or contract price. It is quoted according to the job and the costs of the proposed works. Don’t forget that your homes and contents policy will need updating once you have completed the work to reflect the additional space and, presumably, rebuild value of the home. Essentially working on a conversion project (i.e. turning an existing building into a home) is not that different to working on a new build, and the same problems can occur. Conversion insurance policies are available from the dedicated providers and they follow similar lines to the home improvement policy, covering up to 110 per cent of the value of the existing structure and 125 per cent of the proposed works or contract value, together with employers’ and public liability insurance. Once again, as you’d expect, each policy is priced according to the nature and scope of the works and their value. Most self build policies work on the basis of a single premium. For new builds this is based on the rebuilding costs on a sliding scale, and for a home of around 140m² the average cost will be between £600 and £1,200, with the variation accounted for by the proposed construction costs. For renovations and conversions the premium may have to be assessed by reference to a survey. Personal possessions and furniture will not be covered by a self build policy, although where a self build policy is converted to a household policy upon completion of the project, cover will then be extended in the normal way. The prudent self builder and renovator will want to ensure that in the event of their death, or incapacity, the project can be finished. They will, therefore, arrange additional life and/or injury cover for themselves and/or their beneficiaries. Insurance is not the reason anyone builds or renovates their own home and for many it is something to be ignored. But building sites are risky places – not just for accidents but also for things like theft – and anyone taking a project like this seriously needs to account for the bad things that might happen, as well as the fantastic and exciting things that will. Insurance is a simple mechanism to protect you financially from a serious loss, be that physical damage, theft or injury. Most of us think it won’t happen to us, but the reality is when it does, it will have a serious impact on you projects finances. 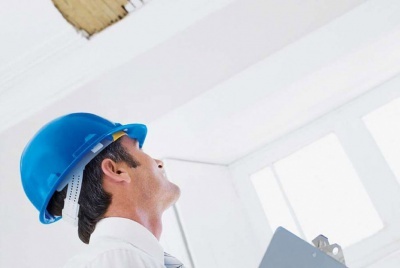 Protek are a direct provider of Site Insurance and Structural Warranties. 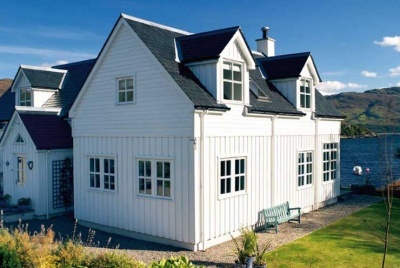 Experienced staff are on hand to provide you with the cover you need on a self-build or renovation project. Protek can arrange cover at any stage of the project, but sorting it all out early is always the most cost effective solution. Arranging a quotation is quick and straightforward. You can start the process online and speak to an expert if you prefer. We are here to help.